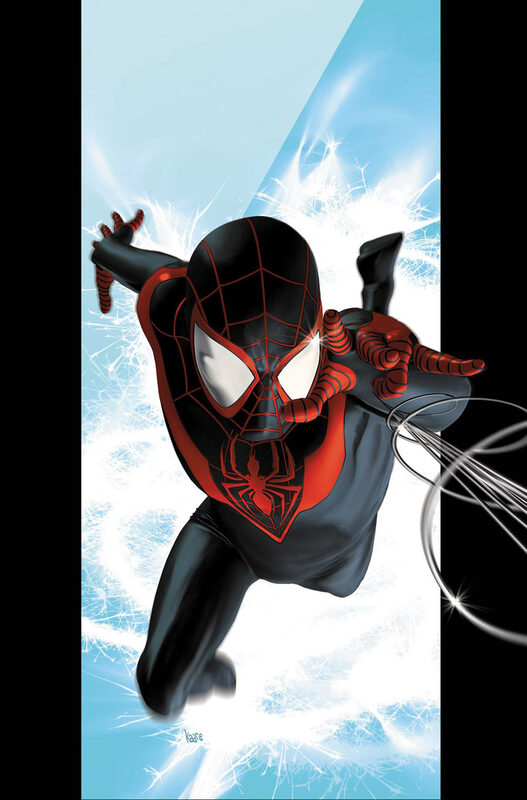 Coming in from Newsarama are the following excerpts as writer Brian Michael Bendis on the new Spider-man. He’s like 13. He’s a kid. His mother’s Puerto Rican. And for some reason the borough seems to be an issue for everybody, too: the borough is Brooklyn. Where he’s going to school, and his own cast of characters, and his parents, and his family — you’re going to meet them all in the first issue, and it’s all pretty interesting stuff. They live in a world that’s been pummeled by Magneto. It’s a different world for them than it was for Peter. These elements are just important, too. 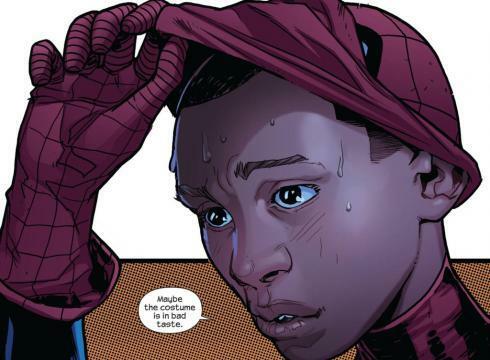 A kid on a discovery, trying to figure out why to be Spider-Man. It’s a big journey for him. It’s a character going almost against his entire personality to do this, so a lot has to be discovered. The naming of the character was a blowout war between me and Joe, for months and months and months. I named the character a few things, lists were made, debates were had. There was another name for a while. I settled on the alliteration. First you go, “Is it too obvious, the alliteration?” Then you go, “No, do it! Come on.” It was one of those, “Is it smart-stupid or stupid-smart?” You can’t tell. So I just went for it. I settled on the final name by literally just typing it into the script so everyone would stop talking about it. So there it is. 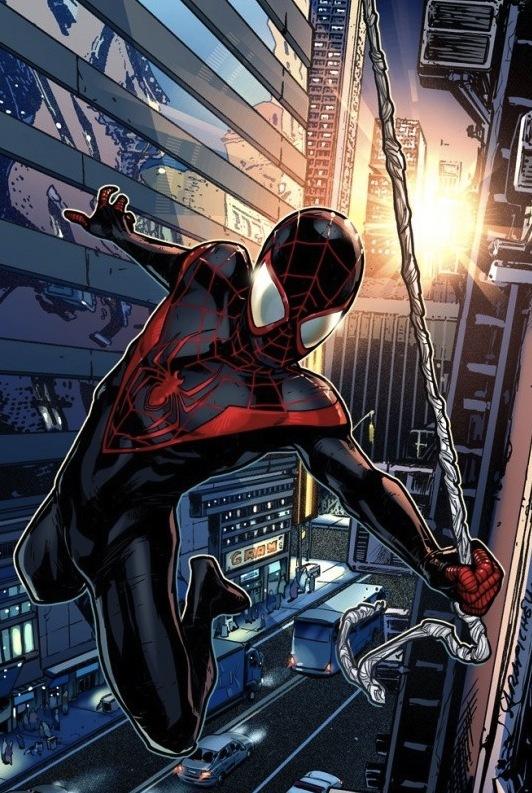 Here’s what I’ll say for people who have been reading Ultimate Spider-Man: You will be rewarded for your concentration and dedication, because this character will be entering the legacy of Peter Parker, and meeting many people from Peter Parker’s life in different ways. And that will all be addressed. In the first half-of-a-year of Ultimate Spider-Man, you will see Gwen Stacy, you will see Aunt May, you will see Spider-Woman; how he got his powers. All of this will be addressed very, very quickly — in the first two issues, both of which ship in September. Will this impact the upcoming Animated series? 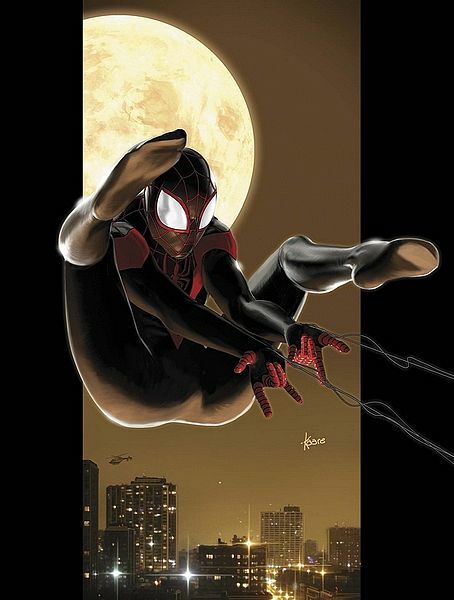 But I notice that some people feel that Peter will be back in the comic book by the time the cartoon comes out. That is not the case. I have already written up to the issues of when the cartoon comes out. That’s not happening. This is a long-term goal. This is it. It’s funny, everyone coming at me with Miguel O’Hara jokes. We were making these jokes like two years ago, and someone at Marvel — I won’t out them — but they were really mad that we weren’t going with that name. Then it becomes something else: “Oh is he from the future?” “Is the 2099 Universe now the Ultimate Universe?” It becomes this whole different thing, but it just completely confuses the story. We want to start fresh, and put some toys in the toy box. For every 10 I kill, I put one in. [Laughs.] A new character that has a completely clean slate from which to build was the way to go. It just was.